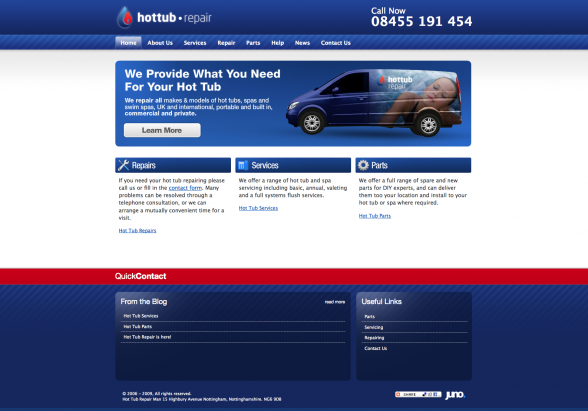 We have just launched the new Hot tub Repair web design for our friend Jon AKA the Hot Tub Repairman. We carried out a little SEO work on another existing Site, The Hot Tub Repairman which has just taken the nuber one spot for the search Hot Tub Repair. This website is an affiliated site but designed to look more professional and appeal to the higher end of the market. With lots of search engine capability built into the architecture this site is destined to achieve good results and consolidate the businesses grip on the search engines in the industry.